The Volkswagen Tiguan lives up to its classification as a “midsize sporty SUV” by offering the comforts of an SUV with the performance of a small car. While the interior is as spacious as you’d expect, this vehicle really shines when it’s in action. Lively acceleration starts things off, while dynamic handling makes navigating almost any turn effortless. And all the while, your passengers can enjoy a comfortable and smooth ride. 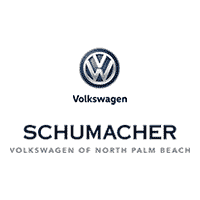 Feel confident on the roads in North Palm Beach, Florida, behind the wheel of the VW Tiguan. * For more information, visit https://www.cars.com/articles/whats-the-best-compact-suv-for-2017-1420697071892/. ** For more information, visit https://www.cars.com/articles/carscoms-2017-car-seat-check-honor-roll-1420697098796/. *** For more information, visit http://www.jdpower.com/press-releases/2017-vehicle-dependability-study.